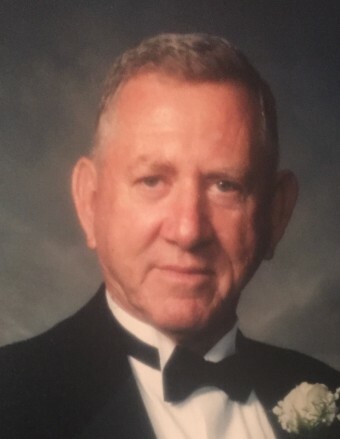 Ethridge Marlow Hattaway, age 87, of Pearson, Georgia passed away on Monday September 3, 2018 at Coffee Regional Medical Center following an extended illness. Mr. Hattaway was born in rural Coffee County on September 10, 1930 to George Marlow and Blannie Dora Roberts Hattaway. His parents were share-croppers and he helped his parents on the farm even as a young boy. In 1952, he was drafted in to the United States Army. His duties in service began in the artillery and later he volunteered to serve as a cook. He soon was promoted to the head cook where he was responsible for serving as many as 2,000 men and women each day. Before ending his service he was promoted to the rank of sergeant. Through the years he worked in the following places, a garment factory, the Department of Transportation, Coke Cola Company, Daniel’s Feed and Seed and Johnson’s Farm Supply. But mostly he was a farmer. He became actively involved in Harmony Grove where he served as a song leader, usher, and deacon. Later, he and his wife, June, became active members at Eastside Baptist Church. Mr. Hattaway was preceded in death by a great grandchild, Adelyn Marie “Addie” Wilkes. Survivors include his wife, June Carolyn Lane Hattaway of Pearson, GA; son, Dr.Donald Hattaway and wife Sonia of Cartersville, GA; three daughters, June Ellen Beverly and husband Jack of Douglas, GA, Nancy Whittle and husband Bennie of Douglas, GA and Karen Wilkes and husband Marty of Kennesaw, GA; eight grandchildren, Jay Beverly, Chad Whittle, Andrew Wilkes and wife Kristy, Kaleb Wilkes and wife Jordan, Kaley June Tanner and husband Jameson, Nathan Hattaway, Daniel Hattaway and Anna Lane Hattaway; five great grandchildren, Addison Beverly, Gavin Beverly, Harper Wilkes, Barrett Wilkes and Olsen Tanner; several nieces and nephews. Funeral services will be held on Wednesday September 5, 2018 at 11:00 am at Eastside Baptist Church with Rev. Christian Colson, Dr. Donald Hattaway and Rev. Andrew Wilkes officiating. Chad Whittle will be giving family memories. Interment will follow at the Hattaway Family Cemetery, 1365 Bent Pine Rd in Coffee County.. The family will receive friends Tuesday evening from 6 until 9:00 pm at Sims Funeral Home. Music was provided with John Glosson singing “How Great Thou Art”, Sonja Hattaway, Kaley June Tanner and Anna Lane Hattaway singing “Amazing Grace” and a congregational song “Victory in Jesus” with Jay Beverly on the piano.